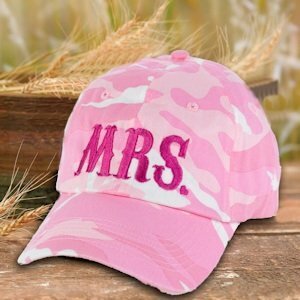 This pink camouflaged cap is an adorable way to proudly display being the Mrs.! It's a fun and easy accessory to add to nearly any casual outfit. 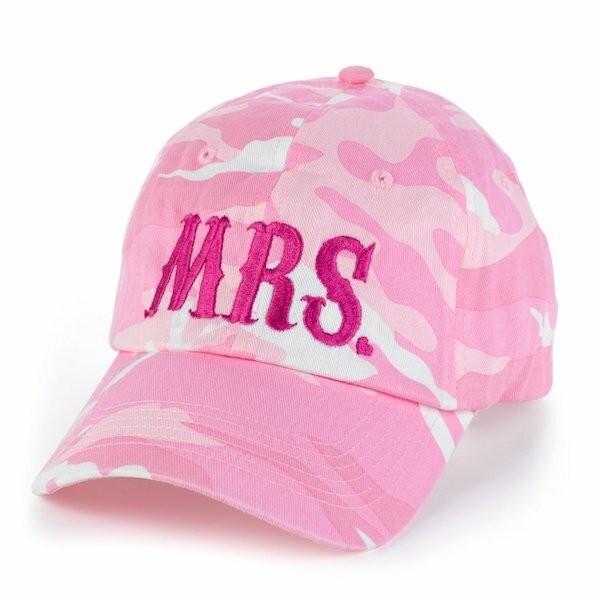 The 100% cotton cap sports the "Mrs." that's embroidered on the front in a coordinating fuchsia thread. This durable cap features a pre-curved visor has six rows of stitching, uses a hook and loop closure and on the inside of the cap there is a twill sweatband.